A Professionally designed website is the most cost effective marketing tools available in the world today. 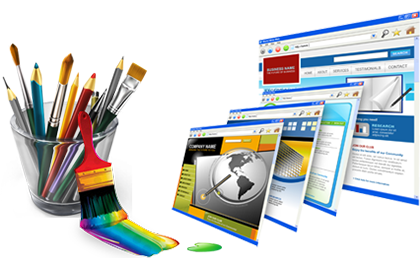 Inquisitor Infosoft Pvt Ltd is create all type of creative and cost effective website design like dynamic website, static website, E commerce website, CMS Based Website etc. Web designing tasks involve development of web pages as per the custom demand and orientation. Static and dynamic websites are being designed to cater to the specific requirements. Static websites are best suited for simple one way communicative interfaces. However, dynamic web pages that have now become more demanded adore complex functionalities which allow for different tasks like eCommerce, publishing and web social and digital marketing among others. Web developers have been experimenting with concepts for the last one decade and developing smart websites that can handle different dimensions with ease and error free. This is especially true for the e-storefronts and social websites. The dynamic websites are designed to communicate with the database in tandem with therequests that keep emerging spontaneously through the visitors on page. The flexibility of the UI is the hallmark and every successful developer knows the tricks of it! Static websites have not lost value and demand in the current age; rather these are considered the best choice where dynamic functions are not desired. Static web pages glide smoothly because these consume lesser space and functions on the hosting server.